The seat of the Bench Toy Box lifts to reveal a storage space. It is protected from falling by an approved safety lid support. 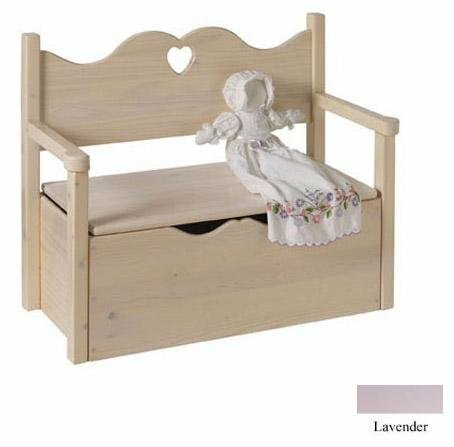 This Toy Box Bench is made of solid knotty pine material. Choose from heart and star cutout designs. This Toy Box Bench is available in both unfinished and in different wood finishes. If you have any questions about this product by Little Colorado, contact us by completing and submitting the form below. If you are looking for a specif part number, please include it with your message.